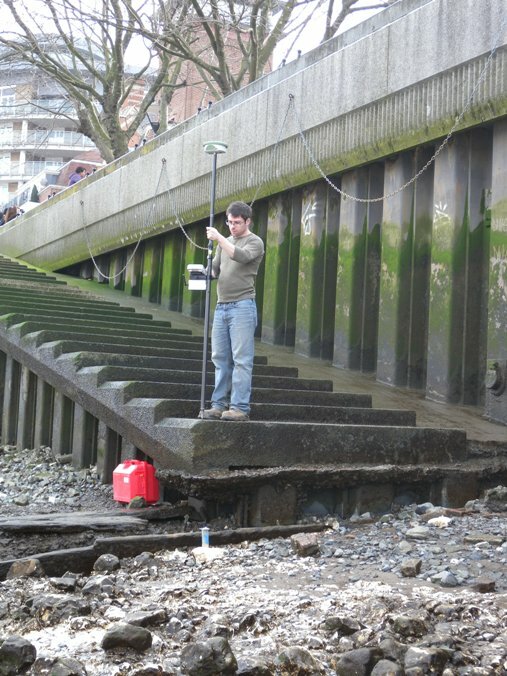 The foreshore at Bankside has been previously surveyed on a number of occasions: by the Thames Archaeological Survey, by Museum of London Archaeology (prior to the construction of the Millennium Bridge) and by the Bankside Stewards group / Fiona Haughey. Archaeological remains surviving on the site include in situ paleoenvironmental deposits (dated to the Neolithic period), and a wide range of post medieval and early modern structures including bargebeds, jetty and wharf structures, drains and mooring features. Other features on the site include the remains of causeways and other access points, and a widespread artefact scatter comprising ships nails, nautical timbers, clay pipes, ceramics and glass bottles. 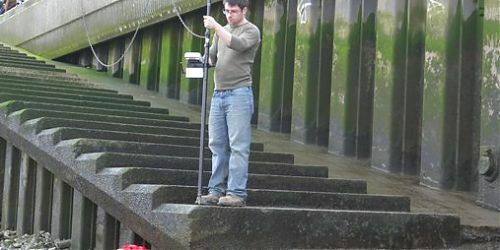 The foreshore is eroding noticeably in some areas, particularly around the Globe Stairs, and a build up of sand deposits has been recorded near the Founders Arms Stairs. Check out the articles below to learn more about Bankside and Winchester Wharf.